CAE announced today at the Farnborough Airshow that it has signed a contract with the NATO Airborne Early Warning & Control Program Management Organization (NAPMO) to perform a major modernization effort to the E-3A flight deck simulator and E-3A flight training device located at NATO Airbase Geilenkirchen in Germany. The modernization effort to the E-3A flight simulators will ensure concurrency with the upgrades currently being performed on NATO's fleet of E-3A Airborne Warning and Control System (AWACS) aircraft. NATO's E-3A aircraft are being upgraded with glass cockpits and other advanced avionics to meet current and future Communication, Navigation, Surveillance/Air Traffic Management (CNS/ATM) airspace requirements. The major modernization effort CAE will perform on the E-3A flight deck simulator and flight training device will be completed by 2018, which is when the aircraft upgrade program is scheduled for completion. "The E-3A flight simulators help provide safe and cost-effective training for the 16 nations involved in the multi-national NATO E-3A Component," said Ian Bell, CAE's Vice President and Business Leader - Europe. "CAE has supported the training of NATO E-3A aircrews for more than 30 years, and we're pleased to extend this support with another major modernization effort program for the E-3A training devices located at the Geilenkirchen main operating base." The NATO E-3A flight deck simulator was designed and manufactured by CAE and entered service in 1982. 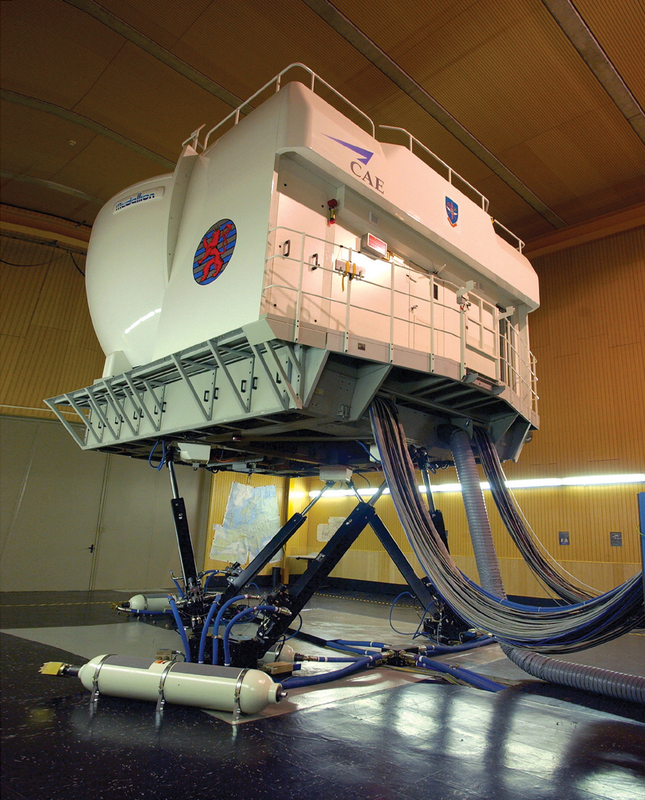 Since that time, CAE has also had responsibility for the maintenance and support activities related to the E-3A AWACS simulator to ensure the training availability of the system. The original E-3A flight deck simulator has undergone numerous improvement programs and more than 100 modifications during the past 30 years, including an upgrade to the Common Database (CDB) standard that is an open database architecture enabling rapid updates and correlated distributed mission training. The numerous upgrades and qualification to Level D, the highest for flight simulators, has allowed NATO E-3A aircrews to amass more than 100,000 hours of simulator training on the E-3A flight deck simulator. In 2012, CAE delivered a Level II-qualified E-3A flight training device to support familiarization and procedural training for aircrews prior to full-mission training in the E-3A flight deck simulator. Caption: CAE will perform a major modernization to the NATO E-3 AWACS flight deck simulator.